Last night, the new tourist route project around Bigastro was officially opened. 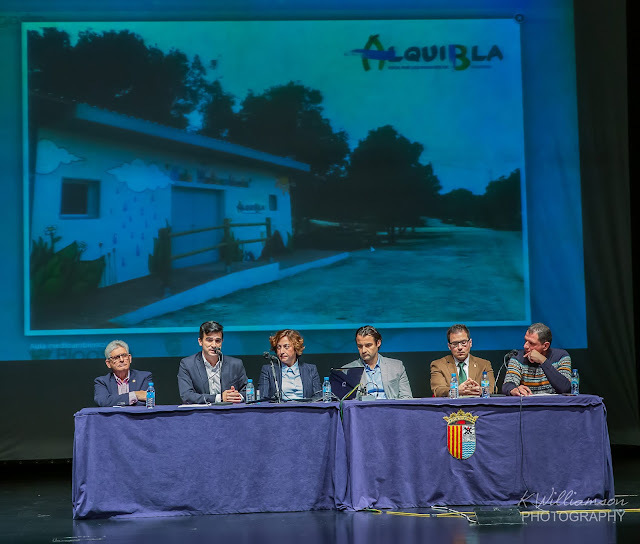 On the panel were representatives of the two routes that meet the Ruta Alquibla; the Costa Blanca Interior route and the southern section of the Camino de Santiago. Also there were; Teresa María Belmonte Sánchez (Mayor President), Antonio José Meseguer Cabañés (Councillor for the Environment), Pascual Segura (Official Chronicler) and Efren Pamies (local policemen who has a great interest in the fauna and flora of the area). Earlier in the week, the new Tourist Office was also officially opened. On Sunday, at 10am, townsfolk and visitors are invited to take part in the first walk around the route.